Flock Talk: I Found a Hen’s “Secret” Stash of Eggs; Are They Safe to Eat? Educators across the country are learning that chickens make great teaching tools. Mary’s little lamb isn’t the only farm animal that makes children laugh and play. Today, chickens are enriching educational settings from pre-K to college. They’re soothing stress, teaching important lessons about sustainability and responsibility, and helping with behavioral issues. Plus, there’s the added benefit of tasty eggs. That knowledge includes teaching the preschool and kindergarten students about the lifecycle of a chicken. “The last couple of years, we’ve gotten fertilized eggs, and the kids saw the whole process,” she says. Currently, Gardenview has six laying hens and five chicks. “But two are roosters,” Adair says. 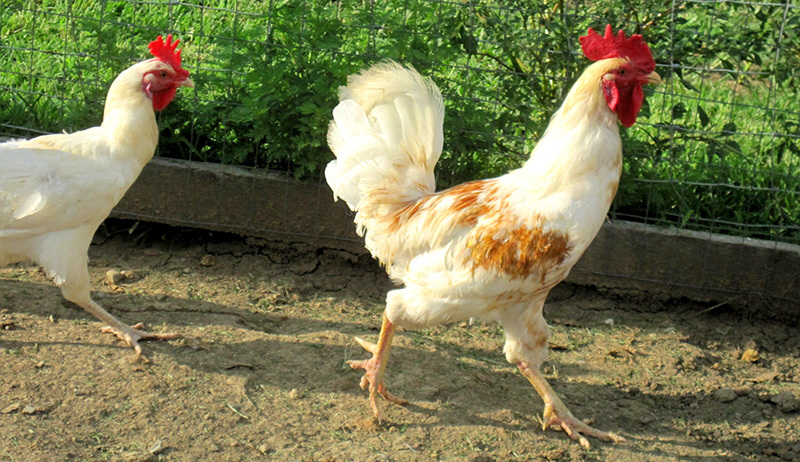 “They will go to student families since roosters aren’t legal to keep in the city. They will become pets or go into a pot.” The roosters provide yet another learning opportunity for the children, who get to see where eggs come from, as well as the chicken they eat. At Desert Garden Montessori in Phoenix, students start as early as infancy and can attend through high school, but it’s the elementary students that Sustainability Coordinator Eric Caballes says interact with the chickens the most. The school keeps the chickens as part of a small campus farm, which also includes goats. The eggs are used in a student-run café to make breakfast burritos. “Extra eggs get sold to families, which pays for their feed,” Caballes says. It isn’t only children that chickens can help calm. Tanya Bailey is the principal animal-assisted interactions specialist for the Pet Away Worry and Stress program for the University of Minnesota’s Boynton Health Service. “The PAWS mission is to provide animal-assisted interaction, a consistent service, so students can come to the same place at the same time and engage with animals,” Bailey says of the weekly sessions where a variety of privately owned animals help students to relax. The program was started as a way to mitigate students’ stress. “Animals have a grounding force,” she says. “For some students, their pets are their best friends.” It’s not practical for students to have their own pets on campus, so PAWS gives them the opportunity to wind down weekly. “Students are so serious nowadays,” she says. Bailey believes many students have lost the importance of just having fun and being silly. “Animals help people engage and come out of their shell,” she says. Bailey owns two hens that attend the sessions: Woodstock, a 10-year-old Silkie, and Tilly, a 2½-year-old hen that will take over for Woodstock one day. Not all chickens are suitable for animal-assisted therapy. “It’s our ethical responsibility not to force a chicken to do this work,” she says. As Woodstock ages, Bailey has noticed that the time period she can sit comfortably and participate has diminished. Tilly enjoys sessions for an hour or more, while half an hour is now enough for Woodstock. 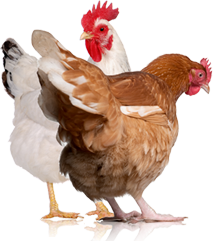 At Eastern Mennonite University in Harrisonburg, Virginia, chickens first came to campus in the late 1990s when two agriculture students did an experiment comparing egg production between hens fed cafeteria scraps versus those given traditional feed. After the project, the chickens stayed and were adopted for care by campus groups. Then, in 2005, chickens were added to the university’s composting projects. But according to Jonathan Lantz-Trissel, who then worked as recycling and waste reduction manager at the university, the chickens flattened the piles. With air getting in, they couldn’t sustain the high temperatures required to generate compost. “So we kicked the chickens out,” he says. But the chickens didn’t go far. Student groups once again took on their care. Hatching a plan to get chickens into a school setting requires some forethought, but the rewards are well worth the effort. Here are a few helpful insights for individuals as well as those starting flocks in educational or other institutionalized settings. Caballes recommends learning as much as possible before starting. When he took over the school farm, he admits it was a crash course. Advanced knowledge would have been helpful. In Phoenix, the annual Tour de Coops event provided Caballes, a fellow teacher, and several students with ideas. They toured others’ setups, saw how individuals manage care in their unique environments and learned more about chicken keeping in general. Tour de Coops events are held in cities across the nation, often coupled with a sustainability and back-to-basics living focus. And they’re fun. “I learned a lot,” Caballes says. PAWS programs occur at three sites across the University of Minnesota’s campuses. The program is not a one-person job and requires constant monitoring of the animal-owner teams, which are registered through one of four national programs. But PAWS is rewarding. Bailey believes that animal-assisted interaction is good for people on an -individual basis as well as helping society as a whole. Students with preconceived notions about chickens come away seeing them in a new light, and the experiences enlighten people and they foster more compassion. “Ultimately, we will treat each other with more empathy, too,” she says. The chickens don’t take holiday and summer breaks either. Still, Lantz-Trissel says that chickens bring a lot to a campus. In fact, a couple of students have even chosen Eastern Mennonite University because of the chickens. The flock at Gardenview Montessori also draws parents who want their young children to experience them. While some planning and preparation is required, Adair has only good things to say about the chickens that first arrived at her school as a parent’s surprise. 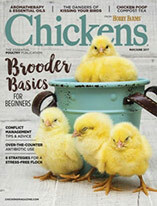 This article originally ran in the November/December 2016 issue of Chickens. 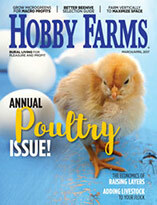 Sheri McGregor writes and keeps chickens in rural Southern California. Find out more about her and her writing at her website.